Finding good inexpensive Californian wine is not easy, but this one struck me as very good value at a recent tasting. 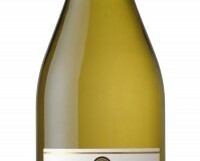 Made by well-known producer Delicato, this impressed with its pleasant soft peach fruits and light touch of vanilla. Stockists: Baggot Street Wines; D4; Deveney’s; Dundrum, D14; D-Six, Harold’s Cross, Jus de Vine, Portmarnock.